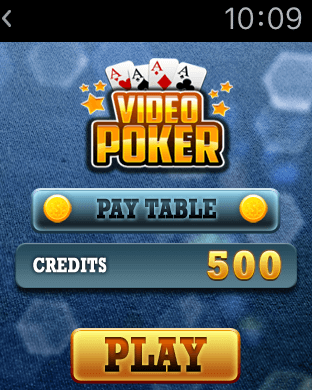 Video Poker is a classical Jacks or Better Video Poker game. 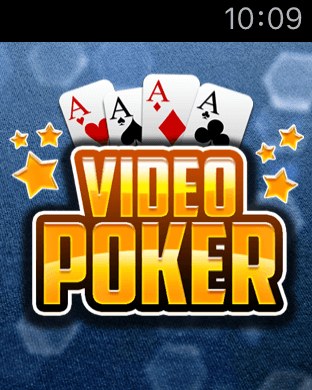 It obeys the standard video poker rules and is a single hand type video poker machine. 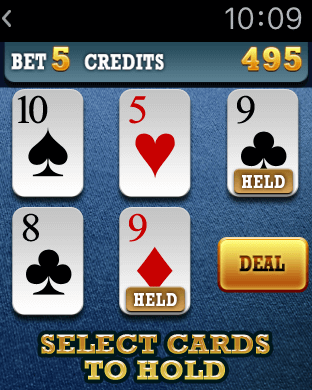 It is played with a standard 52 card deck and the cards are shuffled before each hand. 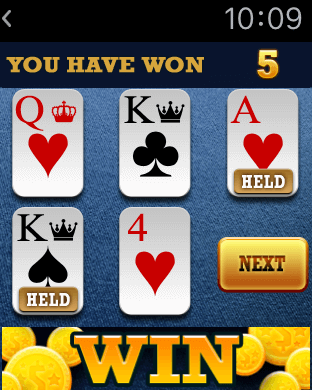 After a winning hand, you can also double up your win. A daily gift is available only on the Apple Watch game. 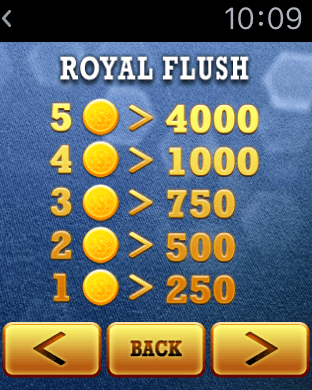 Credits are shared between the iPhone and the Apple Watch games. A global world ranking is managed to compare your experience to all other players.